In 2006, a web analyst at Intuit wrote a blog post that really resonated with me. 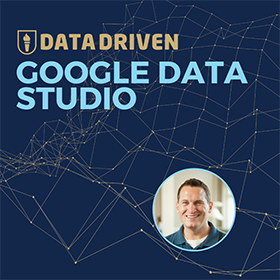 At the time I was just getting my feet wet in the world of Web Analytics, with the release of Google Analytics the year before finally making analysis affordable. Here I had this free tool, Google Analytics, and barely enough knowledge to be dangerous. So I started reading every source I could find on the topic, filling my RSS reader (yes, that was a thing then) with every blog I could find. But the most useful posts were from this guy at Intuit. He always seemed to write about the problems I would run into as an analyst, about 12 months before I realized I had a problem. He was bleeding edge and quite entertaining to read. I wonder where that guy is today? I hear he works at Google or something. How do you build out a team to do web analytics? Before web analytics blogs existed, I augmented my personal experience with knowledge shared in book form (yes, that was also a thing then). You know, those heavy pieces of paper? Think of it like an analog Kindle. My favorite story was the time I was reading Web Analytics Demystified on an airplane. A fellow passenger sat down in my row and checked out my book cover. For several years I struggled to understand the proper way to build a web analytics team at my agency. 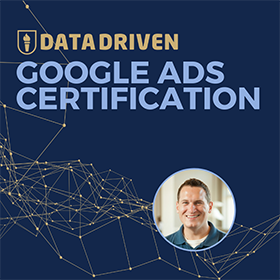 I viewed web analytics as a natural extension of my search marketing efforts, and wanted to be in charge of the competency. That didn’t exactly go over well with my colleagues who came from a traditional analytics and database marketing. Web analytics should be their kingdom, and I would be a constituent. As I am prone to do, I took on increased responsibility for managing Google Analytics (it was a search marketing tool!) and asked forgiveness whenever I crossed the line. Somewhere during this time, I also came across advice from that guy from Intuit, saying that for every $10 you spend on web analytics technology, you should spend $90 on people with big brains to analyze that data. By now you know we are talking about Avinash Kaushik. It did not take that long for me to adopt this principle as fact: this was the only reasonable way to fund web analytics. $10 for tools, $90 for analysts. But is that measure really practical? When that guy from Intuit got hired by Google to be their Google Analytics Evangelist, the 10/90 rule became mainstream. The golden ratio was being mentioned at keynotes and to C-level delegates from fortune 500 companies. It went from being a theory to a mantra, and I was one of the many to sing the praises of this simple rule. Then I tried to implement it, and realized how difficult it was to adhere to the 10/90 rule. Perhaps it was my situation, working for an agency instead of as part of an in-house team. Or maybe it was because I would only consult with Google Analytics, a free product. Either way, 10/90 was never a rule that I thought fit practically into my experiences with web analytics. The rest of this post is going to be an analysis of why, as well as some suggestions to modernize this rule for all types of businesses. Google Analytics democratized web analytics using the ultimate equalizer: a free product. The free product introduced millions of website owners to the ideas of web analytics. Many for the first time. Today, there are nearly 30 million websites using Google Analytics, according to BuiltWith. An educated guess would be that 29 million of those website owners would never pay for web analytics. It has been my experience that website owners who have grown accustomed to paying $0 for web analytics have trouble paying for services related to web analytics. Mathematically, this makes sense. The 10/90 rule still applies; if you invest $0 in your web analytics tool, you will also invest $0 in brains to run the tool. It’s like a free tool creates a zero-sum game. Having tried to sell analysis services to website owners for the past 8 years, I can verify that this is usually what happens with web analytics investments. Since the tools are free, website owners assume the analysis services should be free as well. This is when I remind them that I am not operating a charity. Unfortunately for anyone trying to provide analytics services to the SMB market, 10/90 x $0 = $0. What about the big spenders, the ratio works great here, right? When companies reach a certain size and stature (or number of pageviews), they see value in paying to have a robust analytics tool to analyze what happens with their site. Budget gets assigned, and a painstaking evaluation of tools takes place. For most of these companies, they have a choice between one of two software solutions: Adobe SiteCatalyst or Google Analytics Premium. According to BuiltWith, there are 250,000 users of SiteCatalyst. The number of users for Google Analytics Premium is a difficult number to pin down, but I would personally estimate somewhere between 10,000 and 25,000 companies at this point. The level of investment of tools between these companies varies, but for sake of demonstration, let’s say that each of these solutions will cost the company $150,000 per year. If companies spend $150,000 per year on their web analytics tool, then the 10/90 rule would state that each company should be spending $1.35 million on the brains operating this software. Let’s say that it costs an average of $100,000 a year for each analyst a company hires (a number that holds from my experience). The 10/90 rule states that the company should be able to hire 13.5 analysts to measure what comes in through their premium web analytics tool. Or perhaps they would hire 10 analysts and use the other $350,000 left over to hire specialty agencies to help with technical implementation, project management or analysis. Those staff numbers are much higher than I have seen, based on my experience working with ~10 Fortune 500 level companies. I have not seen a single company that staffs web analytics this way. In reality, they might have 3 web analysts or pay an agency $300,000 for their efforts. But that is the point of the 10/90 rule. It is a rallying cry for companies to make this level of investment in their analytics programs. This is what should be happening at these companies. Or should it? Does a company really need 13.5 analysts to make sense of their web analytics data? Perhaps surprisingly, my vote is no. 10/90 is not the right web analytics budget, but neither is 33/67. What is the golden ratio? No team needs 13.5 analysts to make sense of Google Analytics or Adobe SiteCatalyst. That would be pre-recession era employee bloat. On the other hand, only having 3 people working on this massive data set heavily understaffed. What is the right amount then? 1 person who is a technical expert in the data models behind analytics, collection methods and platform configuration. 1 person who is a technical expert of tagging websites to make sure the right data is collected. 1 analyst who painstakingly ensures data quality of everything coming into the system on a real-time basis. 1 analyst who provides specific web analytics insight to the organization. 1 junior analyst who spends all of their time within the analytics tools mining for insights. 1 manager to keep the team together. Add it up and we are talking a $600,000 investment in people to run a $150,000 tool. That puts my golden ratio at 20/80. For every $20 you spend on web analytics tools, you should spend $80 on the brains to make sense of the data. What about integration with other analytics tools? Shouldn’t that be listed? To this point I have intentionally left this analysis purely on the side of web analytics tools to keep the argument clear. But we all know that web analytics is just a small piece of the overall analysis puzzle, and there are many tools in our arsenal. Proprietary databases, big data analysis, data mining tools, business intelligence suites, data integrations, enterprise level reporting systems and whatever buzzwords are floating around at the moment. As organizations add these tools to their arsenal, they also bring on additional expense. Therefore, each of these tools has their own budget, and should be staffed at the 20/80 ratio. Any integration between them should be shared between teams. We see this happening in organizations all of the time, with the shared “technical” experts reporting to one part of the organization CTO, and the analysts reporting to the CIO. The ratio holds, even if it requires some compromise to make the numbers work. Going back to the small business example, no magic formula will work here, as long as $0 is the numerator for our web analytics tool of choice. But that doesn’t mean that analysis can’t happen. Analysis for a small business happens in many ways. For $0, the owner of a company can be their own analyst. This may sound insane to many of us, but I see this happen all of the time. Entrepreneurs are forced to wear many hats, and analysis keeps the owner closer to the business. It also doesn’t cost any cash. Though I would argue there is a tremendous opportunity cost. Another “free” method of analysis is to take one of your existing employees and provide them training as an analyst. 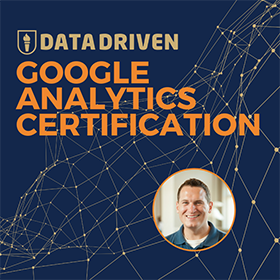 For $1,000, you can send an employee through intense Google Analytics training and get them certified with Google. Many of the students in my Google Analytics training classes fit this profile. Google offers truly free online training as well. The downside here is that you will lose that competency whenever that employee moves on to a new position or decides to grow in another area of the company. While you may not be paying much cash to develop an analyst, you are always starting over. I see many companies hiring young college graduates and asking for 50% of their time in analytics and 50% of their time in marketing. For $30,000, you can teach an employee the ropes of analysis while gaining strong levels of insight into your business. After a 6 month learning period, you can often receive a productive 6 months of analysis, before that employee moves to a higher paying position based on the skills they acquired on the job. It stings, doesn’t it? Starting at around $2,000-$3,000 a month, a small business can find an agency that can act as your outsourced analyst. They can provide technical recommendations for tracking, setting up goals, and automating the reporting process. They can provide analysis and recommendations on top of that structure. This is actually a service that I provide here at Jeffalytics. For the company, this analysis provides immediate short term value, but also keeps the company indebted to the agency well into the future. The analysis and insights keep coming, as long as the company keeps paying. A company can also hire a full time analyst and pay them market rates to stick around for the long haul. This is the most expensive of options, but also the best long term fit. Of course this is where expense becomes an issue. Most small/medium businesses can’t fathom the idea of a paying $100,000 for someone to operate a tool they are getting for free from Google. Last, the organization can stop viewing analytics as an expense and treat it as a profit center. That is where analytics belongs, after all. We aren’t installing Google Analytics on websites for fun. We are installing it to figure out how to grow the business! Analytics: an expense line item or a path to higher profits? It is sad, but most organizations treat web analytics as an expense. Why? Easy, because it costs real money to run an analytics department. And it is actually very hard to quantify the value that web analytics brings to a P&L statement. The first problem is the tools. The tools are trained to share marketing success, but never focus on how analytics made marketing more successful. Record growth for a company? Sales and marketing gets the credit. Analysts only have themselves to blame, since they are the ones responsible for reporting to the organization. Our tools are too dumb to calculate return on analytics. That’s where the big brains come in. Perhaps that is the most practical application of the 10/90 rule in the end: to prove the value of analytics. Each organization should invest $150k in their web analytics tool and $600k in web analysts/technical experts. And then they should invest the remaining $750k in the one person who can prove the true value of analytics. That is when the budget will really start flowing! What is your experience with the 10/90 rule of web analytics? Web analytics friends: what has been your experience with the 10/90 rule? Is it an accurate measure of where investments are made? Should they be made this way? Please share your experiences!